The day has finally arrived and you’re moving out of your rental property. But before you pack things up, it’s worth taking the time to evaluate the condition of the rental. Your landlord expects your rental property to look just as clean as it was when you first moved in because new tenants expect the same thing as well. Unless you don’t want to receive your deposit back, cleaning your rental is of utmost importance. After all, it’s quite unethical to leave the property in a somewhat messy condition after renting it for a period of time. As a courtesy to the next tenants and as a thank you to your landlord, we’ve compiled a list of 5 things that you should clean in your rental before you move out. Go through every inch of these areas and make sure to give them a deep clean. 1. Wipe down the windows. The first thing you should clean are the windows. Dusty windows leave an impression that the rental has been neglected, especially if you rented the property for quite some time. Give the windows a thorough clean by using a vinegar solution. Mix one part of hot water to one part of vinegar and transfer the solution in a spray bottle. Spray the windows and use a clean cloth to wipe down the windows. The acidic properties of vinegar will help break down any film that accumulates on glass surfaces. It’s also effective at removing stubborn marks on windows and it doesn’t leave any streaks compared to using soap. Make sure to wipe down the window sills as well since it accumulates dust and dirt quickly. Bathroom and toilets can be problematic areas to clean because of all the grime and soap scum buildup. You wanna make sure to pay extra attention to scrubbing the bathroom tiles, walls, sink, and especially the toilet bowl. Again, vinegar works best here because it acts as an antibacterial cleaner. Mix one part warm water and one part vinegar and transfer it to a spray bottle. Spray down the bathroom with the solution and leave it to sit for at least 5 minutes. The vinegar solution will help dissolve any soap scum and moulds on the bathroom tiles and walls. Use a bucket of warm, soapy water and scrub the entire bathroom to leave it sparkling clean. The kitchen can get dirty with food bits and oily residue after frequent use. You don’t want to leave appliances covered with grease stains such as the oven and stove before you move out. Wipe down the appliances with a wet rag soaked in warm, soapy water to leave them nice and clean. The countertops should be free of any stains so make sure to scrub it thoroughly with a sponge. Lastly, the sink should be polished and the food filter should be cleaned. If the sink is clogged up, usually all it takes is a pot of boiling water to dislodge any accumulated gunk. 4. Vacuum rugs and carpets. Rugs and carpets accumulate plenty of dirt and dust quickly. This can make the flooring look old and worn-out which your landlord won’t like. 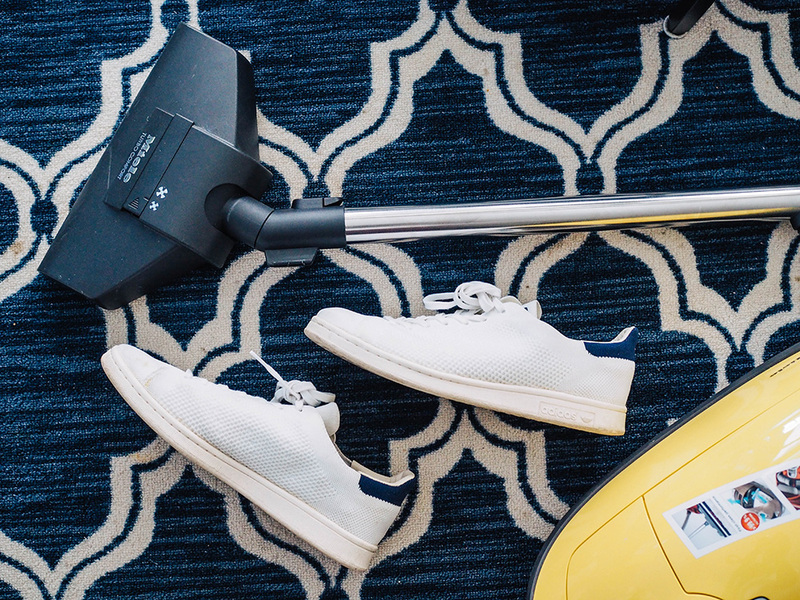 Take the time to vacuum any textile flooring found in your rental to remove dust, debris, and every day dirt. If the carpets are extremely dirty, vacuuming alone won’t cut it. If this is the case, it’s best to hire a professional carpet cleaner to deal with stubborn carpet and rug stains. Your landlord will certainly appreciate the added gesture of having the carpets cleaned professionally. Speak to a professional carpet cleaner in Bayswater for more information. 5. Removing cobwebs and dust. The last step in cleaning your rental is removing dust and cobwebs. Clean the dust from the baseboards and ceiling fans by vacuuming it with a dust cleaner attachment. Inspect the ceilings and corners of the room for any cobwebs and make sure to remove them as well. Dust and cobwebs can make a rental property look old and turn off new tenants from renting it. Why you should clean your rental property before moving out? Your landlord has the right to charge you for any cleanup or damage in order to restore the rental property in a rentable condition. Cleaning your rental before you move out not only secures your deposit back, but it also saves you plenty of money. Consider these 5 things as your cleaning checklist before moving out of your property. If you don’t have enough time to deep-clean your rental, there’s always an option to hire a cleaning company. Just provide a copy of your landlord’s cleaning expectations and have them check it off during the cleanup. The most important thing is to leave the rental in good condition before you move out to avoid being charged and to fully secure your deposit.